When is the baby coming? What will we call it? What will the baby do? We don’t really need the baby, do we? 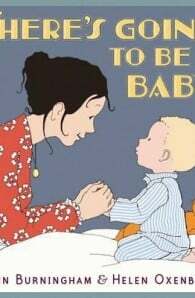 As the arrival of a new sibling draws nearer, the questions that stream through a young child’s mind are followed with sensitivity and humour in this enchanting book. Exquisitely illustrated by Helen Oxenbury, these pages brim with love, excitement and reassurance as the child in the story imagines all kinds of colourful futures for the brother or sister he is waiting to meet. Full of warmth and promise, this is an instant and timeless classic. Helen Oxenbury is among the most popular and critically acclaimed illustrators of her time. Her numerous books for children include Smarties Book Prize-winning Farmer Duck by Martin Waddell; We're Going on a Bear Hunt by Michael Rosen; as well as her classic board books for babies. She won the Kate Greenaway Medal for Alice in Wonderland. 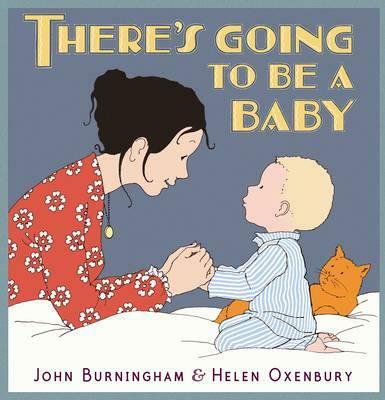 Her most recent picture book was the critically acclaimed There's Going to Be a Baby, the first book-publishing collaboration between her and her husband John Burningham. John Burningham is widely regarded as one of the world’s finest picture book artists. With over 35 books to his name, he has twice been awarded the Kate Greenaway Medal, for Borka: The Adventures of a Goose with No Feathers and Mr Gumpy’s Outing. Among his other celebrated books is Granpa, for which he was awarded the Kurt Maschler Award, and which was later made into a successful feature film. He lives in London.